When your MINI Cooper needs some “tender, loving care”, choose Fremont Auto Center for your Fremont MINI service and repair needs. Whether your MINI has the “check engine” light on, whether it needs new brake pads, or simply a minor service, you can bring your vehicle to us knowing that it will be in good hands. Our shop specializes in German vehicle service and repair, so we have the skills, advanced diagnostic tools, and experience working on MINIs – which are built by BMW. Our highly trained mechanics can diagnose and repair any problem your Mini may encounter. Naturally, we can also perform routine MINI maintenance, and regularly servicing your MINI with us will keep your manufacturer warranty in force. To keep your MINI in top shape, we urge owners to follow manufacturer recommended maintenance schedule. Regular MINI service gives us opportunity to also check tires, tire pressure, belts, hoses, and other components – and gives us opportunity to spot impending problems before they require expensive repairs. Fremont Auto Center is a full service MINI repair shop, so in addition to factory scheduled maintenance services and oil changes, we can also provide: new brake pads, brake repair, new brake rotors, water pump replacement, AC diagnostics and repair, cv axle repair, timing belt replacement, sensors, fuel pump replacement, transmission repair, diagnose electrical problems, and of course, the check engine light diagnostics. 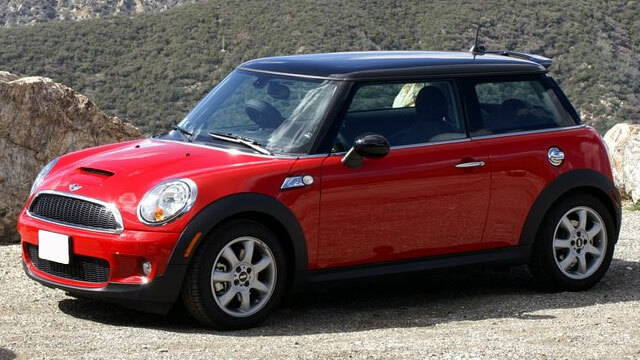 If you run into really serious problems – 2005 MINI is known for transmission problems, and engine problems, while the 2009 Mini Cooper S has issues with timing chain and clutch problems – bring your MINI to Fremont Auto Center, we can help. Our friendly stuff will be happy to service your MINI. Scheduling an appointment is fast and easy, simply give us a call, or request an appointment online.